Rep. Jasmine Lee of the ruling Saenuri Party said Friday that she was proud of Korea for actively joining the global aid for the Philippines, devastated by Typhoon Haiyan, and called for the government to strengthen its support. “Many countries and organizations are assisting the Philippines and I’m very proud of the fact that Korea is one of those nations,” she said. “Though huge aid and support are heading toward the country, more help will be needed to rehabilitate the typhoon-devastated regions. 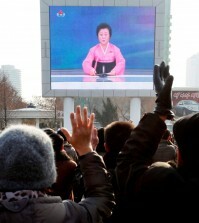 While many people focus on the death toll, there are some islands which have disappeared from sight,” she said. 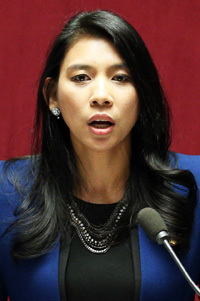 Lee, a naturalized Korean from the Philippines, became the first lawmaker with a multiracial background in the 19th National Assembly last year. On Thursday, Lee tabled a resolution at the Assembly, urging the government to bolster its help for victims of the typhoon. More than 110 lawmakers joined her. The resolution is the fourth of its kind seeking to help overseas countries suffering from natural disasters, such as the massive tsunami that hit Fukushima in Japan in 2011. “It is nothing special. 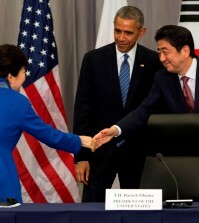 As an Assemblywoman of Korea, helping a country devastated by a natural catastrophe is one of my duties,” she said. The Korean government announced earlier this week that it would provide $5 million in aid and send a 40-member search and rescue team. 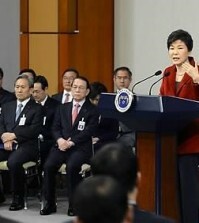 President Park Geun-hye also sent condolences to Philippine President Benigno Aquino III. 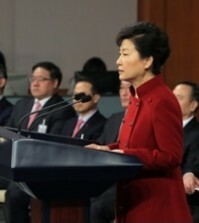 “Korea achieved miraculous economic growth from the ashes of war and extreme poverty on the back of support from global society,” she said. During the 1950-53 Korean War, the Philippines sent soldiers to Korea.